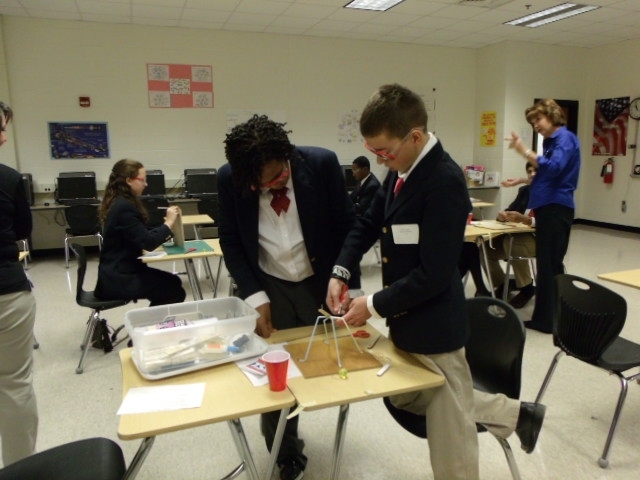 Congratulations to the following Springhill Middle School students for their successes at the TSA Regional Conference 1st Place Agriculture & Biotechnology Issues: Javonate Williams; 1st Place Communication Challenge: Javonate Williams; 2nd Place Digital Photography: Kennise Jones; 1st Place Dragster: Jessica Martin, 2nd Place Dragster: Jadely Ray, 3rd Place Dragster: Nicholas Thompson; 1st Place Structural Engineering: Jessica Martin; 1st Place Environmental Focus: Dejarnette Farmer, Jadely Ray & Jessica Martin; 3rd Place Flight: Shaliegh Neese. Thanks to Advisor –Carolyn Banks for her hard work. Congratulations to the following Carver Middle School students for their successes at the TSA Regional Conference in Chapel Hill. 1st Place Agricultural & Biotechnology Issues: Allyson Lane, Madison Owen and Hannah Smith; 1st Place Career Challenge: Karrigan Campbell, 1st Place Medical Technology Issues: Emily Locklear, Ashley McGugan & Cheyanne Strong, 1st Place Environmental Challenge: Haden Allen, Jamaura Baker, Courtney Carter and Kierra Oxendine, 1st Place Prepared Speech: Emily Locklear, 2nd Place Inventions and Innovations: Carsen Adams, Allisa Dilling, Allyson Lane & Madison Owen, 2nd Place Tech Bowl: Haden Allen, Jamaura Baker, & Courtney Carter. Thanks to Advisor & STEM Lab Instructor: Joel McCanna, Business Teacher: Louann Albright and Carver’s Technology Facilitator: Sharon Stephens for their hard work in preparing the students for the event. 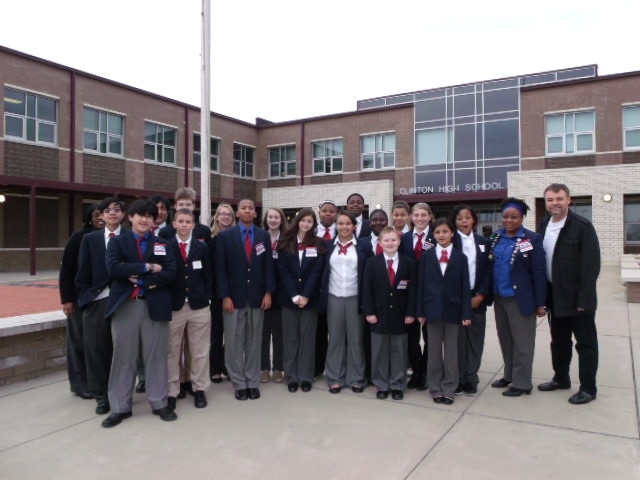 Congratulations to the following Sycamore Lane Middle School students for their successes at the TSA Regional Conference in Chapel Hill, NC on Saturday, Feb 9, 2013. 1st place Flight: Drew Monroe; 1st place Go-GreenManufacturing: Dawson McQueen, Connor Stocks, and Drew Monroe; 1st place Inventions and Innovations: Adam Wood, Daniel Daoheuang, Nich Rogers, and Dawson Chavis; 2nd place Medical Technology Issues: Kylee Chavis, McKenzie Moody, and Katelynn Lopez; 2nd place Problem-Solving: D’Ayana Munley and Hunter Hopkins; 2nd place Promotional Design: D’Ayana Munley; 2nd place Digital Photography: Zack Williams; 3rd place PromotionalDesign: Hunter Hopkins. Thanks to Adviser -Monica Whitehead for her hard work.